At the Slieve Donard Resort and Spa our Oak Restaurant opening times for each service is listed below. 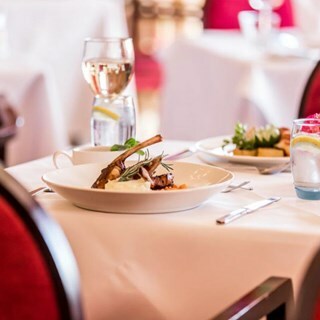 Dine in style in the sophisticated sumptuousness of the Oak Restaurant at the Slieve Donard Resort and Spa in County Down and enjoy an array of fabulous dishes prepared using only the finest local produce and ingredients. 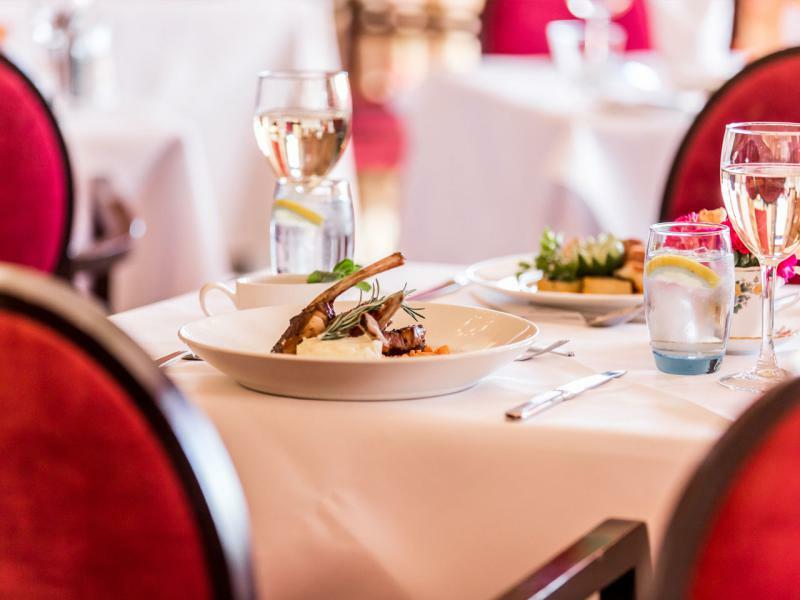 Guests are guaranteed a truly unforgettable dining experience. A wonderful carvery lunch. Very tasty great variety, but perhaps more dishes for the starter that are not fish. The hotel is so beautiful and I just found myself being caught up in its history, however the halls were always freezing. Food was gorgeous but drinks are way too expensive! Everyone was lovely and were happy to help in anyway possible! If I’m honest I do think the prices to come stay here are a bit extreme now that I’ve been here. Evening meal in Oak Tree Restaurant fell well below expectations. Meal was such a let downdown. Everything else during our stay, from the spa treatments to the ambience in the hotel was excellent. The homemade muesli was the most delicious muesli that I have evertasted! We had a lovely day at the Spa, Shona my therapist was extremely friendly and helpful. It was a very relaxing afternoon rounded off by afternoon tea which was delicious. The waitress could not have done more to make us welcome,she was friendly&attentive. We attended for a birthday lunch on Sunday. I could not recommend this enough. Both the food and staff were fab! Thank you for such a lovely dinner. We had a fabulous time, service excellent, friendly staff and the food was great! Afternoon Tea was amazing, couldn’t believe how much food for two people. Staff were so friendly and attentive. We must give a special mention to our Polish waiter Igor. He was very courteous and pleasant and nothing was too much trouble for him. A very enjoyable afternoon with a lovely view of sea and mountains. Pleasantly attentive staff contributed to the enjoyment . Beautiful dining hall and lovely staff. However staff were often following around each other. We got asked was everything okay by 3 staff in the space of a couple of minutes. We had also removed the napkins from our lap & a member of staff kept replacing them on us. We did love the food and drinks & the piano player was fantastic.